Audiologists are professionals who rehabilitate and diagnose patients suffering from hearing and balance disorders. It is important that they should not be confused with medical doctors; in contrast, they are referred to as allied health professionals. This means that they belong to a cluster of health professionals that are of diverse vocations and have been trained to be experts in their respective fields. Allied health professionals can work on their own or with other health professionals in a team setting. This particular branch of clinical health care includes occupations which are distinct from medical, dental and nursing professions. In the case of audiologists, they can be seen as doctors in a sense that, they need to attain a doctoral degree in audiology (called an AuD) to practice the profession. Comparable to physicians, they have undergone and acquired years of education to become a specialist in their chosen field. Aside from earning a bachelor’s degree, the aspiring audiologist has to study for a four-year doctoral degree. Their work usually involves but is not limited to the following: identifying hearing and balance problems, evaluating patients who have hearing and ear-related problems, the dispensing of hearing aids, administer exams and assess results and keep track of a patient’s progress. Given that, you might have been wondering, how much does an audiologist make? Hence, let us shed more light into the matter and discuss about a typical audiologist salary. 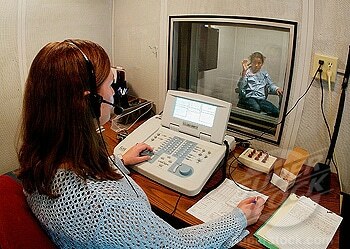 In the United States, the Bureau of Labor Statistics computed a median wage of $66,660 for audiologists in 2010. That amount is equivalent to a rate of $32.05 per hour. In addition, the job outlook for audiologists from the year 2010 to 2020 is seen to be positive. A growth of 37 percent is expected during the said duration of time. Moreover, CareerCast.com, a website dedicated to job search, advice and rankings, lists being an audiologist as one of the best jobs of 2012. It landed on the sixth spot (in 2011, it was ranked ninth). The list includes other occupations which they deem to be most ideal in terms of the work environment, physical demands, job outlook, income levels and stress. You can check more of the list through this link. The job prospects for an audiologist are relative to the number of individuals who are diagnosed with balance and hearing problems. Hence, an aging population will most likely need the help of audiologists as hearing problems become more evident as people get older. In addition, they also assist in screening infants to detect if they have any issues with their hearing at such an early stage. There has been a reported shortage of audiologists due to the factors mentioned earlier. In addition, more developments in the field such as improving hearing aids and making devices more sophisticated contribute to this demand. The skills of an audiologist actually comes in handy in a lot of other situations considering that there can be many scenarios involving hearing impairment. For instance, their skills are needed in a variety of places such as in schools, clinics, health departments, research laboratories, rehabilitation centers and other facilities that seek the assistance of a hearing specialist. Audiologists usually work alongside other health practitioners when examining a patient. To become a practicing audiologist, a license or certification would be required depending on the location. There are also other requirements such as completing supervised clinical experience for a set amount of time. Audiology may not seem to be a very ideal or popular career path for the majority, but getting more insights from this field definitely helps you understand and appreciate the nature of this branch of healthcare. Highlighting an audiologist salary and the prospects for the occupation might have even sparked more interest for you in the field. If you come to think of it, it is a job that will surely make you feel rewarded. That is, considering the people that you deal with and the kind of services that you get to render to them. To become an audiologist, one needs to be compassionate, patient and supportive. Communication is also a key for the audiologist to easily relate to others; thus having a good grasp of the patient’s condition. There are a lot of other qualities that audiologists should have so that they may efficiently carry out their work. All those years of training and the traits that they possess truly demonstrate how audiologists are remarkable professionals. “Audiologists”. Bureau of Labor Statistics. Retrieved August 19, 2013. 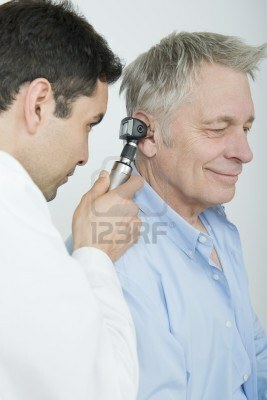 “Demand for audiologists increasing”. The New Zealand Herald. Retrieved August 19, 2013. For better communication, pronunciation and enunciation are crucial. It is big part of the image we want to convey for ourselves. It gives lasting impression and bolster self-confidence. Speech and hearing disorder then can have a huge impact in a person’s self-worth and confidence. That is why audiologists and speech language pathologists’ work are very crucial. This work is also highly collaborative to improve communication skills those who are afflicted. 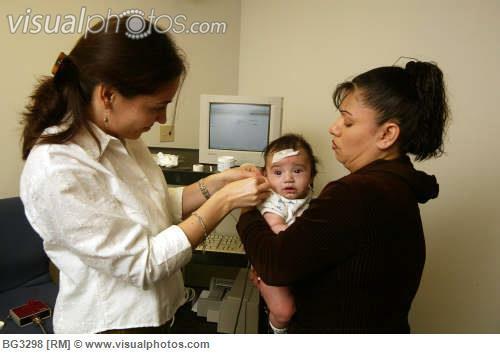 It is collaborative work as speech pathologist have to work with several people surrounding his/her client and that includes parents, teachers at school and even the physician or specialists like audiologist and surgeon to be able to plan out the best treatment and alternatives with the patient. We already discussed the work of audiologists in several articles and in this part, we would like to make focus on the work and speech language pathologist salary. Clients would be children, adults and people with stoke, dyslexia or affliction in neuron and sensory brain functions. There are around 135,00 speech language pathologists or more known as speech therapists that is working in the United States. Speech therapists are employed in hospitals, nursing homes and even schools. The Bureau of Labor Statistics has predicted that speech pathologists will also be in demand for the aged as studies have shown that speech and language disabilities increased. Survey in the medical field showed that around 20,000 to 25,000 speech therapists will be needed in three years time to accommodate the growing clientele. So if you can do all the work indicated above, then you might be wondering how much the speech pathologist salary is. Consider this as a salary guide for you and to those you know who are interested to take this path as a vocation and profession. While there is a so called Standard speech language pathologist salary , keep in mind that the kind of workplace, number of hours rendered at work and other trainings and certifications acquired will have a bearing in your over-all salary. It will also depend if you are working inhourly basis, full-time or part-time. In a survey released by the American Speech Language Hearing Association, the speech therapists from 2005-2013 are paid annually for about 33-37% amounting to an annual salary $75,000. Those who are in full-time private practice as Speech Language Pathologist (SLP) can earn around $73,000. Other variables that cause the variance in the speech language pathologist salary are the kind of hospitals – whether it is primary or district and whether it provides a rehabilitation center and if it is in-patient or out-patient care. Also based in the survey, the highest SLP salary is United States of America is in West area (urban and sub-urban areas of Arizona, California, Washington, Hawaii and Colorado) while it is $8,000 lower in the Midwest (i.e. states of Illinois, Kansas, Michigan, and Dakota). Salaries also increased in direct proportion to years of experience and additional certificates offered by the American Speech Hearing Association (ASHA). As one of ASHA directors said, If you consider taking the path of a Speech therapist, enroll in a medical school that gives training and internship and if possible direct field placements. It is a competitive field so take opportunities to be able to practice especially lots of patience for speech therapy sessions. Also with the huge population boom and a large chunk are ageing, health conditions related to impairment of speech and language will be on the rise. Stroke and hearing loss among ageing population will be needing the speech therapist. Also there are now speech therapy sessions for kids and toddlers with speech impairments and this also deals a separate kind of work and dedication. Medicine is such a vast field wherein specialization is one of the main things you have to make if you want to be one of the best in the field. Specializations lets you explore more. though this specialization varies in different country and the boundaries are quite arbitrary and almost based on human organs. We go back to the basic senses- touch, smell, taste, sight and sound. Specialization is usually centered on treating the diseases and illnesses afflicting the organs that is connected to these senses. The last, sound or audio is what makes us appreciate speech and the music around us. If you decide to specialize in hearing and how to cure the disorder related to it, then you are in the right page of your career. You can be the a surgeon who operates on the internal illness that causes deafness or you can be an allied health provider that “aid” medical doctors in diagnosing the hearing problems. Audiologists abound in several hospitals as well as speech and hearing rehabilitation centers. After getting a medical degree, you have to take special training and internships as an audiologist. Clients would include adults, children and even toddlers who are having hearing problems. You will need to get training in lip-reading, how to use hearing aids and other device that could aid in hearing. An audiologist is expected to be very attentive, caring and interested in improving the communication skills of the client. And if you are a newly trained audiologist or someone in the medical field who is still considering this special field, you might be wondering how much you’ll gonna earn. Depending on the workplace, this salary guide will help you estimate the amount of money you will be getting. You have to take into consideration the workplace, country of work and your respective trainings and certifications acquired. This audiologist salary guide is based on the Official government salary Guide from the National Health Services data as well as based on experience and sharing within the medical network. Remember, further training such as getting training on Neurosensory science will get you an advantage. For the senior level audiologists salary will range from £40,000 to £98,00. Depending on the workings schedule with the hospital, it is usually 8 hours with an extra hours on week-ends and holidays. Check also what kind of hospital, if it is national, district or countryside hospital since salary will also have some slight changes. Aside from hospitals, audiologists are also hired by the universities especially medical schools for research and teaching work. Schools like pre-schools also have audiologist as more and more children are getting diagnosed with hearing problems. With the high volumes of earphones and these youngsters plugged into their ears, scientists have seen an increase in hearing disability among the young. So you can also vary your choices and can do part-time work in different hospitals. 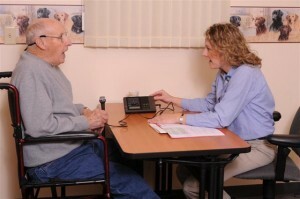 These individuals who are also referred to as hearing aid specialists are tasked to do basic hearing tests. They can also sell and service products such as hearing aids and the like. To become one, there are a number of requirements and qualifications that vary by state. Once qualified for the position, candidates then receive license which will allow them to practice the occupation. These professionals focus on the diagnosis and treatment of communication and swallowing disorders of patients. These disorders are caused by a variety of reasons and speech-language pathologists play an important role in determining the treatment options and evaluate communication problems that patients are faced with. Most of these professionals work in schools and deal with patients of all ages. To become a speech-language pathologist, at least a master’s degree is required. In addition, a license may be required depending on the state. Working alongside audiologists, neonatal nurses and general practitioners, newborn hearing screeners work in various healthcare facilities. From the job title, it can be easily inferred that newborn hearing screeners are responsible in helping detect early signs of hearing loss in the life of an infant. These individuals identify which infants need to undergo further testing once a hearing loss has been found. Early intervention is important in these cases as hearing is a significant aspect when it comes to a young child’s development. Hence, it is important that newborn babies undergo hearing screening before they are sent home from a healthcare facility such as hospitals. These are just several audiology jobs that will allow you to pursue a career path in the said field. Take note that aside from determination, dedication and passion are other factors that will help you succeed in your chosen career direction. To become an audiologist, you would need to undergo a great deal of training so that you may become worthy of the profession. The work included in the path leading to this career is quite extensive; years of education and dedication are needed for an individual to be considered as a specialist in the field. Hence, an audiologist training involves several years of being familiar with the craft. An audiologist training begins when the candidate graduates from a four-year bachelor’s degree. There is no required major for the bachelor’s degree; however, there are doctoral programs which would require courses in physics, anatomy, physiology and math to be part of the bachelor’s degree. To be able to obtain a license later on, a master’s or doctoral degree must be acquired by the aspirant. A doctoral degree (AuD) is a more popular choice that is becoming more obligatory. As of January 2012, the American Speech-Language-Hearing Association (ASHA) consider a doctoral degree as a mandatory requirement for individuals who seek to receive a Certificate of Clinical Competence in Audiology (CCC-A). A doctoral degree typically lasts for four years which includes a year of supervised clinical practice. This supervised clinical practice is already included in doctoral programs accredited by the Council on Academic Accreditation (CAA). Certain states require that the candidate graduate from a CAA-accredited program to be issued a license. In receiving a certificate from ASHA, at least 1820 hours of supervised clinical practice must be rendered. Another way of obtaining a credential would be through the American Board of Audiology (ABA). Certificates aren’t generally mandatory but may be needed as a requirement for licensure or employment. Holding a certificate signifies how the individual is capable of providing exceptional services and is representative of excellence in the field. Furthermore, licensure for audiologists is required in the United States. However, requirements may vary depending on the state. Even when already in practice, it is still important for audiologists to continuously study and learn about new developments in the field. In this manner, they will be updated of the latest methods and technologies which can help them in improving their services. Clearly, aside from rigorous training and education; it is important for audiologists to keep their interest in the field alive. They should also possess certain attributes that will truly determine how their work will turn out. Aside from earning degrees, licenses, and certification; audiologist are also seen as empathetic individuals who are able to be good listeners to their patients and their families. Moreover, they must also possess a critical and clear thinking mind that can easily assess and understand a patient’s condition. “How to Apply for Certification in Audiology”. American Speech-Language-Hearing Association. Retrieved August 20, 2013. Looking into an audiologist job description can let us appreciate the tasks and responsibilities that an audiologist normally deals with. In this manner, we get to understand what the career is all about. Who knows, you might end up liking it and you might start considering a career as an audiologist. The duties of an audiologist are not limited to the items indicated above. Their expertise is sought after in a variety of situations and in different settings. They may be found in the hospital, schools, clinics, universities and in other facilities dedicated to research, healthcare and education. Audiologists use a special set of equipment for examining their patient’s conditions. Some examples are audiometers and computers which help in letting them determine the degree of a patient’s disorder and find other factors relating to the problem. Aside from tests, they also have to delve into how the hearing problem affects patients through evaluating them psychologically. Thus, they also communicate with their patients and their families on how they should cope up with the problem. In evaluating an individual’s hearing, an audiologist conducts a series of tests with the patients to determine how they respond to different sounds. There are also instances when evaluation is done using special equipment which will distinguish how the patient’s ear and brain respond to the sounds. The treatment may involve the fitting and dispensing of hearing aids or administering cohlear implants (an electronic device used to improve a person’s hearing). Furthermore, they can also assess people who have disorders involving tinnitus. Their evaluation can greatly help in producing the needed information so that more light will be shed about the patient’s problem. Audiologists typically work full-time and their schedule may depend on their patients’ needs. In addition, travelling can also be involved depending on the type of employment. Some firms might require their audiologists to go to different facilities at a given time. The job outlook for audiologists is quite promising for the next couple of years and it can be an ideal job for people who would like to pursue a career in healthcare. Choosing a career path is a decision that you will have to live with for the rest of your life. How your life will be spent will in one way or another, be affected by such a choice. It all begins with an aspiration; an aspiration that has been brought about by what you want to become. After forming that ambition, you start moving for you to reach it and that would be through the help of various institutions that will help you attain your career goals. This is the typical scenario when you want to become a professional someday. Such is the case also, if being an audiologist is what you want. Being on that track, let us look further into the steps on how to become an audiologist. As you may have already known, audiologists treat and diagnose patients with hearing and balance problems. They can be found in a variety of settings such as in hospitals, rehabilitation centers, schools or in private practice. Usually, you can find them working together with another professional when handling patients. Aside from specializing and practicing their field, some of them also help in developing technologies for improvements in the treatment of the mentioned disorders. If you are an aspiring audiologist, then it is most likely that you are most inclined to science subjects such as biology and anatomy. As early as high school, it would be best if you take interest in such subjects as this serve as good fundamentals to your desire to become an audiologist. Once you get out of high school, select a bachelor’s degree which you believe will help you become equipped once you pursue further studies to become an audiologist. Typically, any bachelor’s degree is accepted for people who want to proceed with taking up an audiologist degree. In most cases, a doctoral degree (AuD) must be completed by the candidate after the four-year bachelor’s degree. There are master’s degrees offered for aspiring audiologists in some places. If you are reluctant about this matter, you can check website such as the American Speech-Language-Hearing Association (ASHA) for the accepted degrees and other requirements. After obtaining a doctoral degree, a license or certification must be attained by the candidate. ASHA offers the Certificate of Clinical Competence in Audiology (CCC-A) for those seeking to be credentialed. Credit can also be acquired through the American Board of Audiology (ABA). Being an audiologist entails more than the skills acquired through education. The steps on how to become an audiologist wouldn’t be complete if we fail to sight that, above all, the audiologist must keep that unfaltering willingness to help others. This is a part of their quest to support people who have hearing and balance disorders. Thus, an audiologist can be seen as someone who is more than just a professional. That is, the audiologist also is a compassionate critical thinker who aims to help his patients for the improvement of their health. At one instance or another, you might have heard of audiologists. But, chances are, you have limited knowledge of what they are all about. Hence, you might end up wondering and asking, what is an audiologist? Before we proceed in expounding more about the audiologist, let us first take a look into their field of specialization for us to have a better grasp of their profession. Thus, what is audiology? The term “audiology” was derived from the Latin tem “audīre” and Greek suffix “-logia” which mean “to hear” and “the study of” respectively. From its etymology, it is easy to infer that audiology is the study of hearing and in this context; it also refers to the study of disorders related to hearing and balancing. Thus, an audiologist is a healthcare professional who assesses, evaluates and administers treatment to individuals who have hearing and balancing disorders. Audiologists are not to be confused as medical practitioners for they are what we refer to as allied health professionals. Let us make a clear distinction between the two to erase the confusion. 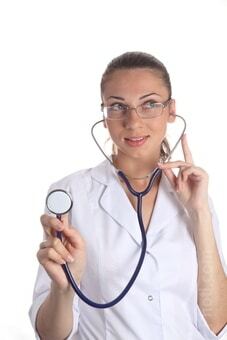 Medical practitioners are individuals who practice medicine; doctors or physicians belong to this group. On the other hand, allied health professional are involved in healthcare but are consisted of a wide range of vocations different from that of medicine, nursing and pharmacy. Such examples are audiologists, physical therapists and dietitians. An audiologist has quite a number of responsibilities and they treat individuals from all age brackets. To be able to be in practice, they have to earn a doctoral degree on top of their bachelor’s degree. In this manner, they will be able to acquire special training for their chosen field. In addition, a license is also required in most locations. Audiologists can be found in a variety of settings such as hospitals, schools, universities, health centers and in clinics. Moreover, the audiologist has different responsibilities when dealing with patients with healing problems. Such duties include the fitting and dispensing of hearing aids, conduct hearing screening for infants, do research for hearing and balance disorders and deal with other professionals regarding a patient’s case. Aside from the aforementioned, they also counsel and provide further assistance to patients and their families so that they can know how to deal with the disorder and communicate with the individual who has a hearing or balance problem. Apparently, audiologists are busy individuals. Other than rendering their professional expertise, they also are empathetic and patient practitioners who understand the needs of their patients and their families. Indeed, shedding light to such a question (“what is an audiologist?”) is a way for us to recognize these typically overlooked of individuals and their exemplary work.